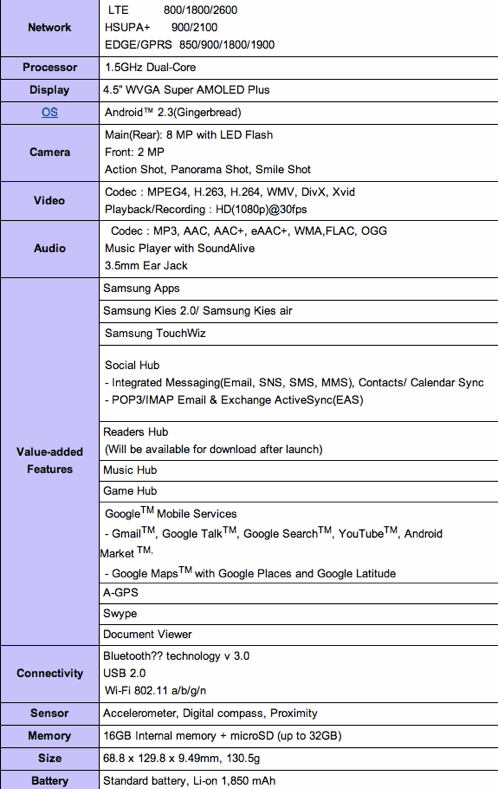 Samsung will showcase a new Galaxy S II at the IFA next week. The new Galaxy S II LTE will come with a slightly revamped design (the battery cover looks like it has a brushed metal finish as compared to original Galaxy S II’s textured one) but most importantly will get an upgrade on the hardware front. For starters, it is touted to be the world’s first LTE/WCDMA/GSM multi-mode phone. 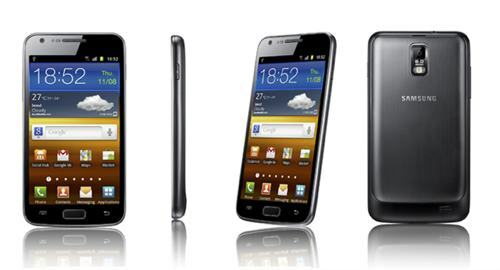 In addition to high-speed LTE, the new Galaxy S II will come with a big 4.5-inch Super AMOLED Plus display, 1.5GHz dual-core processor, NFC, Wi-Fi, Bluetooth, 8MP camera with flash and a 1850mAh battery. Yes. The battery cover seems different. is this the phone goimg to sprint and att? And even if it is for the US, who knows how long until it lands? thats a euro LTE device. didn’t we see seomthing pass through with the 800 LTE band? This is looking mighty interesting. 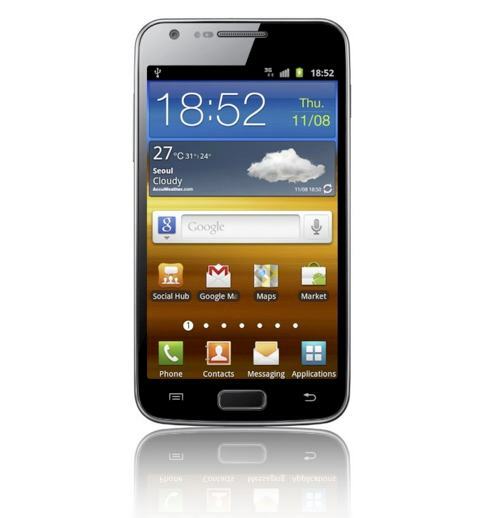 Samsung is announcing a new and updated SII next week with a 4.5″ screen and a 1.5ghz dual processor. Samsung is also unveiling the US models next week. Now…the Sprint model FCC filing showed it to be larger than the original version Samsung released….biog enough to support a 4.5″ screen I would think. The back of the Sprint variant in the leaked photos had a sort of brushed metal finish look rather than the typical shiny one….and so does the new and improved Samsung is announcing next week reportedly. Lastly…the Sprint variant has the same camera orientation and the new and improved version, unlike any other variants we’ve seen to date. I am beginning to think not perhaps not?